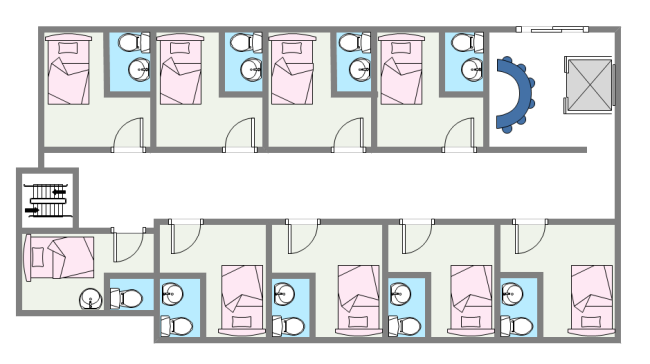 Description: A simple small hotel plan template is available to download for free. Easily customizable, you can make your own hotel plan based on this template. With Edraw floor planning tool, you don't need to spend much time drawing, connecting, and aligning shapes. Download and experience the amazing features now.